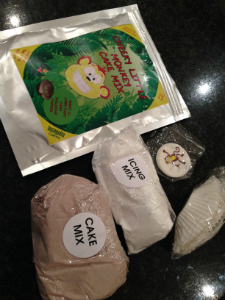 Thanks for the review Helen, Some great pictures of the cakes, your are quite correct the E numbers do come from the Monkey toppers, and are just basically the food colouring from the special ink we use, The Cheeky little monkey cake mix has been developed to be a treat for both children and parents alike and not an everyday food item and in doing so is meant to be naughty and not necessarily healthy ( there’s lots of healthy stuff out there already), we haven’t tried it with coconut oil so perhaps that’s why you didn’t get the full 12 cakes as the instructions were not followed by using vegetable oil. 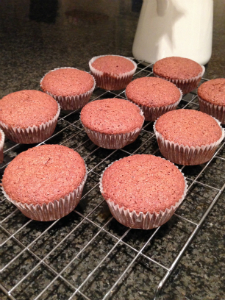 We get the full 12 cakes every time using vegetable oil and different oils will give it a different texture, consistency and even taste, that’s why we say use vegetable oil, as we find its the best way to get the best results, both in texture and taste. Whilst we agree the price point isn’t great please bear in mind that we are a home based manufacturer and don’t have the buying power of the big companies, we are always striving to bring our prices down and the current price with the discount code CHEEKY50 brings it down to £3.50, this is the only product of its kind on the market aimed at children and as demand gets higher so the price will come down as we will be able to get our ingredients cheaper including the toppers which we print ourselves, could you please elaborate on your thoughts on the packaging as we are always looking for alternatives and your feedback in this area would be welcome. Once again thanks for reviewing the mix we will take your comments on-board as we move forward with the product, its still early days yet and we are constantly refining our idea to make it better. 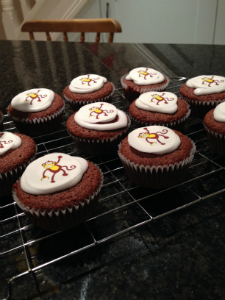 The cakes went down very well with mum’s and toddlers today. 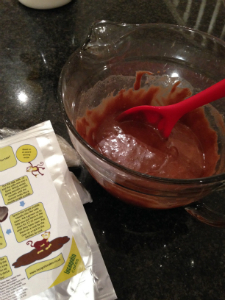 The opinion of all mums today was that they wouldn’t pay more than £3 – £3.50 for a children’s ‘freefrom’ cake mix. I really hope you can bring the price down in the future as I think you have a good product, which really appeals to little ones. 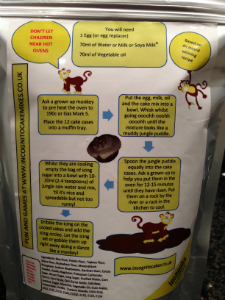 The Mums were genuinely interested today by your product, they loved the monkey toppers! 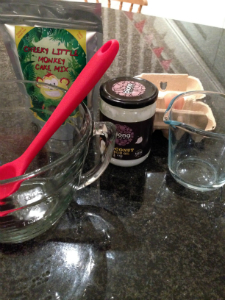 Interestingly they liked the slight coconut flavour from the coconut oil. I use this as I have done a great deal of reading about vegetable oil and I honestly will never use it in baking again. I felt that the outside packaging looked a little amateur, sorry. But I have a feeling you had issues with the printing so that may be why? 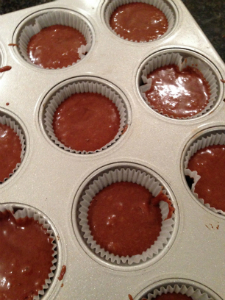 The plastic pouches of ingredients were hard to open and looked a little like test packs not like a finished product. I will be following your progress with great interest and hope that the awards will be a great advert for you. I really hope my feed back is helpful, you have some really good products. 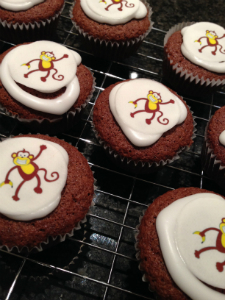 I could add your discount code information to my blog post re cheeky little monkey cakes if that would be helpful, just let me know. Hi Helen, Great that the mums and Children loved the cakes just the response we are looking for , we are in the process now of looking at alternative ingredients to help bring the price down, We see your point about the label but it was created to be a bit child like to appeal to that market but yes we have had printing issues the colours for one thing are not right, we have been looking at different ways to seal the ingredient bags too so your comments on that are helpful, just as an aside the silver pouch they come in is re-usable as it comes with a ziplock, something that boxes don’t offer, we use our spares to put soup in to freeze and Yvette uses then to take foods to friends houses the re uses of them is endless, so don’t throw yours away! It would be great if you could add the discount code and we will let you know how we get on in the Free From Food Awards , although I suspect you will be following them closely.